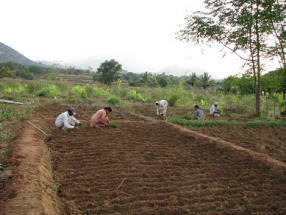 Vanashree is our IMO certified organic farm near Bangalore nurtured since 2006. We have over 4500 trees (covering 150+ species till date) to ensure bio-diversity. Cows, small poultry, bee keeping and fish in rainwater harvesting tank are core part of our experiments in integrated farming. We try to capture the recent & key activities, experiences and events at Latest News. If you are interested in visiting us, you can get more details by clicking here. 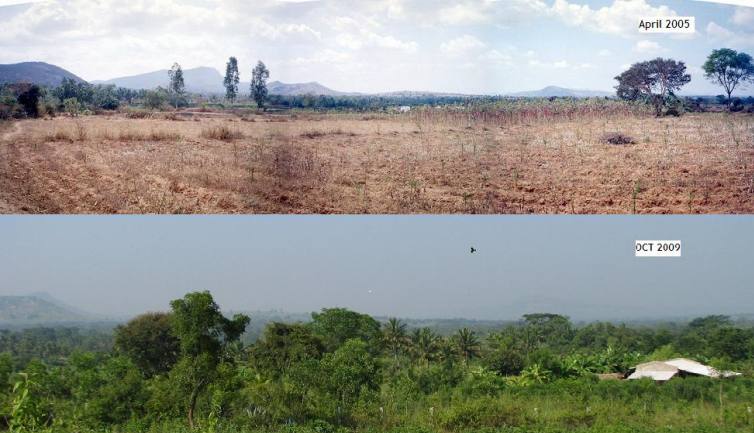 Vanashree, which was a barren land with 3 trees in 2006, is now home to 4500 trees, 60+ bird species, numerous insects and other occasional wildlife visitors like Elephants, Jackal, Indian Sloth Bear, Jungle Cat, Monitor Lizard, Black naped hare, various snakes and other reptiles. This site has been compiled by us for sharing information on things we are doing and planning to do.